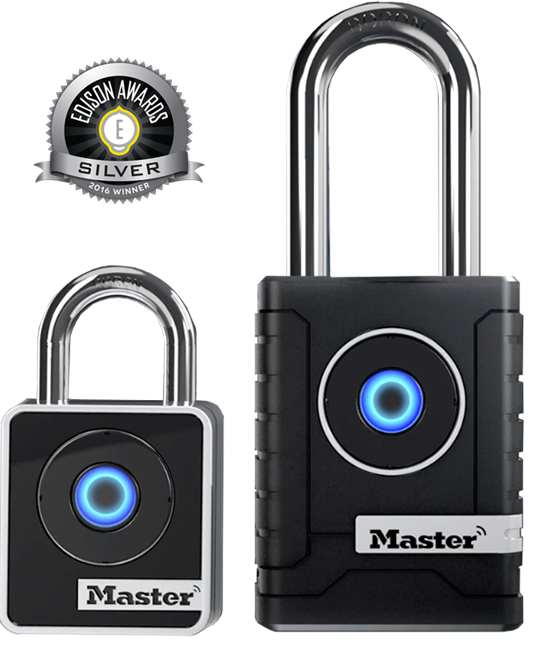 Master Lock is the household name for locking up your valuables. I have always had Master Lock products but the lock that I have now is the lock of all locks. This is a lock you can open with a touch of your phone. How awesome is that?? Almost every time I go to unlock my gate I would forget to take my key outside with me. Then I upgraded that lock to a Master Lock that you put in a number combination. It was very easy to use also, but sometimes I would forget my number and have to run back inside to check the number. When I received this lock to try out we had just gotten our new storage building in our backyard and needed a lock for it so I was planning to use this new lock there. The storage building came with a locking door, so I was able to use this new lock on my fence. We have a very secluded backyard and the fence opens in the very back. I feel this lock is very, very safe and it gives me piece of mind knowing its out there keeping the fence closed. After loading the free app onto my phone, I went out to give it a try. You just walk up to the lock and touch it with your phone in hand and it unlocks. The phone will tell you that it is unlocked and that it will relock in 5 seconds. I'm very excited about this lock. You should definitely check it out if you have outdoor areas that need to be locked!! Tells you when it's unlocked and shows you how long until it locks back. So easy to use and no one is getting in my fence! 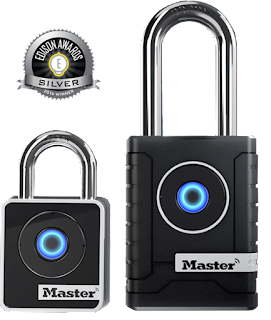 Master Lock Bluetooth Smart Padlocks put control in the palm of your hand, so you can protect what matters most in your life. Unlock your lock, share access with guests, and monitor activity - all with one easy-to-use app. Head over to the Master Lock webpage and check out all they have to offer. You can purchase Master Lock products in your local hardware or department stores. 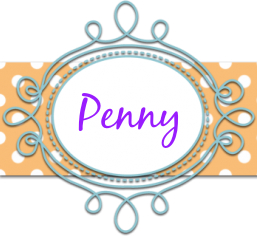 You can also connect with them on Facebook , Twitter, YouTube and Pinterest. 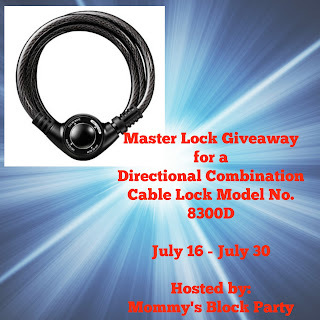 One lucky reader will win a Directional Combination Cable Lock that can be used on a bike. Open to US residents, 18+, only. No PO Boxes. Just use the RC entry form below to enter for your chance to win. This contest is in no way affiliated or endorsed by any social media platform. Mommy's Block Party is not responsible for prize fulfillment or shipment. Please see our policies page for our full disclosure and contest rules. Special thanks to my friends at Master Lock for introducing me to this amazing new product and for offering a great giveaway for our readers. It is a pleasure to work with you! Finally, and unfortunately, there are many locksmiths out there who are not licensed locksmiths. Many times these unlicensed locksmiths who are often also inexperienced, very unprofessional and simply call themselves "locksmiths" are simply trying to earn as much money as possible. These locksmiths therefore will give deleterious and very misguided advice. Most of the times, these people do not have any real experience in locksmith services. They also lack training in the security industry. They are often very greedy individuals. These are not cheap locksmiths. These are not locksmiths at all. Cheap locksmiths offer the same services offered by other locksmiths, but at a much lesser rate. flatratelocknkey-denver We prefer to call these locksmiths, inexpensive locksmiths or discount locksmiths rather than us calling them cheap locksmiths and thus degrading them.